My son is an excellent reader...but getting him to actually sit down and read? Well, that's another story all together. A book really has to catch his interest if he is going to stop moving and take the time to read it. Those types of books for him are few and far between. But if there is one thing kids like (or at least one thing MY kid likes), it's something that is all about HIM. So, when I first heard of I See Me books, I could not wait to get him one. What are I See Me! books? 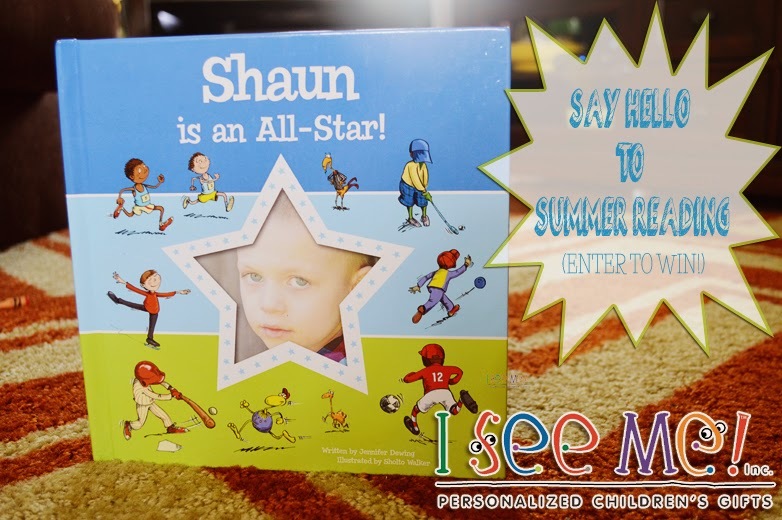 For this review, I was sent one of their newest additions- the 'I'm an All-Star' book. Now, I knew that my Shaun would think this book was pretty cool, but did not expect just how excited he really was. The day it arrived, I laid it out to show him once he got home from school. Before even taking his backpack off, he spotted it and was immediately in awe, shouting, 'It's a book about me!' Normally when he comes home, he immediately asks to play video games or watch a movie. But this day he immediately sat down and started reading and pointing out to me all the instances where it said his name. It was not just switched out in the story itself, but incorporated into the artwork as well. He absolutely loved it, and immediately asked me to go online and order him more! 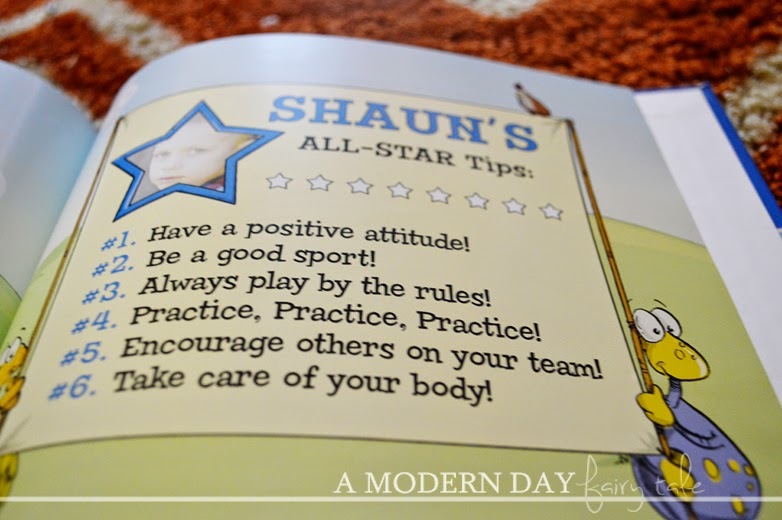 The I'm An All-Star book is all about good sportsmanship. This is something that Shaun has struggled with and something we'd been working on, so it was a perfect fit for him. As most of you know, my Shaun was diagnosed with Autism at age two. Oftentimes, when we try to teach him about things like being a good sport we can talk until we are blue in the face and still not quite get through. Instead we have found that visual aids, and particularly written aids can be a huge benefit for him...and that's just what this book offered for him. 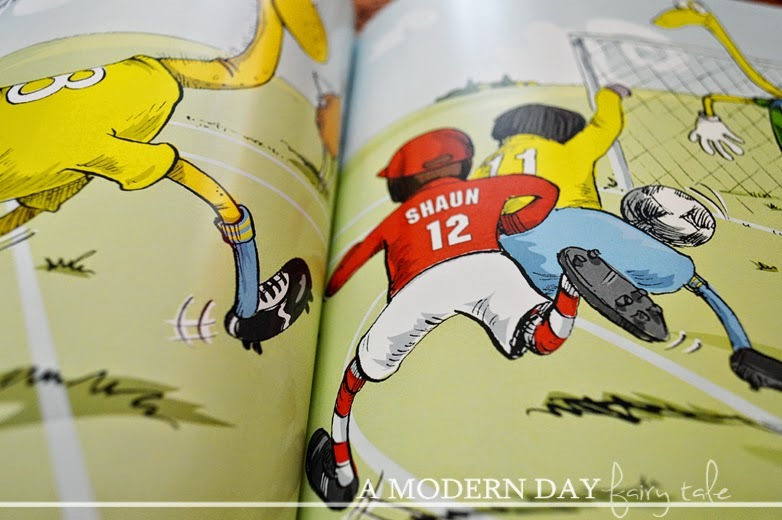 Using his picture and his name made it more personal to him, rather than just reading a book about another kid playing sports. You also have the option of which five sports you would like included, so you can choose their top choices making it even more relevant to them. This includes even less common sports like bike riding or my son's favorite- golf...the options are limitless. Overall, Shaun and I both absolutely love this book! He loves that it's all about him, and I love that it not only grabs his attention, but also teaches him great lessons in a way that is fun for him. This book and others from I See Me! make the perfect personalized children's gifts for ALL occasions, but they also offer a variety of other fun gift ideas like Lunchboxes / Puzzles /Coloring Books/ Placemats / Stickers and Growth Charts! Winner will be contacted via e-mail after giveaway ends, and will have 48 hours to respond before a new winner is chosen. One entry per household, winning entry will be verified. Odds of winning depend on valid entries received. A Modern Day Fairy Tale is not responsible for prize delivery.. 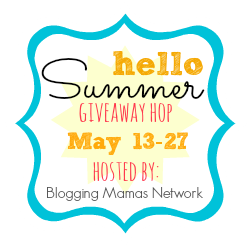 So Easy Being Green, Viva Veltoro, the Blogging Mamas Network, and the Hello Summer participating bloggers are not responsible for sponsors who do not fulfill prize obligations. I would like to have one of those growth charts for my grandson, they are so cute. I love the I'm an All-Star Personalized Book - Pink. I would love to get My Very Own Fairy Tale Storybook for my daughter, she would love this! The Goodnight Little me book is so beautiful, I love all of the animals and the style of the illustrations. So pretty!